Annual Cam Jammers Car Club show to benefit POA! 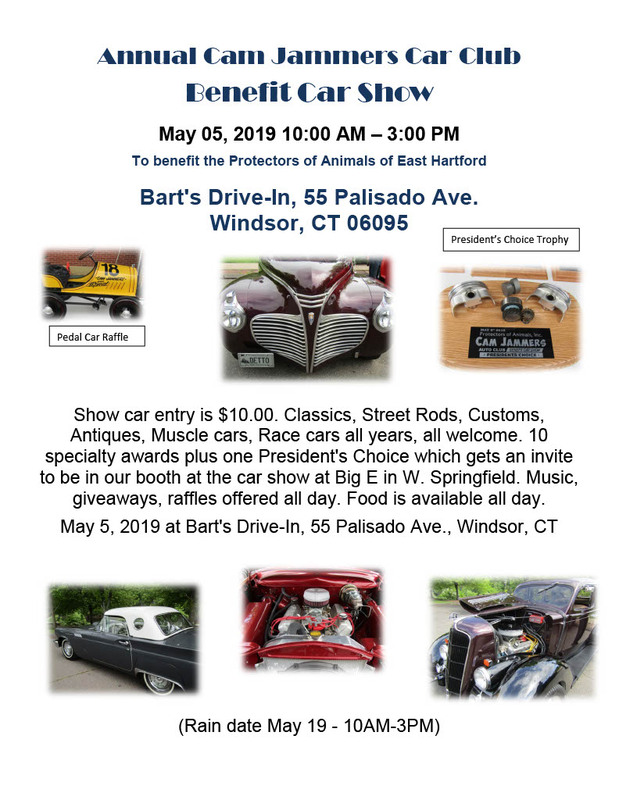 Come out to see all the great cars or enter your car in the show! Classics, Street Cars, Customs, Antiques, Muscle Cars and Race Cars! All years, all welcome! Ten specialty awards plus one President’s Choice award which gets an invite to be in the Cam Jammers booth at the Big E in West Springfield. Music, giveaways, raffles and food available all day!